USA flag pattern printed 6 panel cap. 0124-USA - USA flag pattern printed 6 panel cap. One Size Fits Most plastic tab adjust. 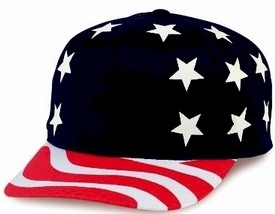 0124-USA - USA flag pattern printed cap. One Size Fits Most plastic tab adjust.